With over 2,500 visitors during its opening weekend on October 5th, our exhibition “Destination Micromosaic” has been a real success. If you didn’t have the chance to visit it, here’s a few pictures to relive that day with us. 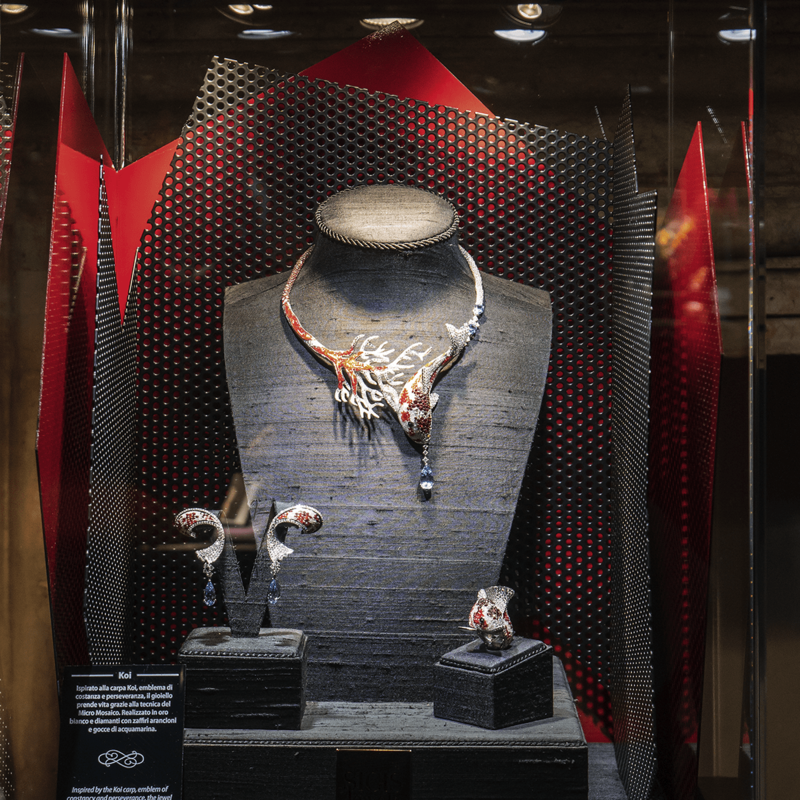 The nature of the exhibition is a very peculiar one: with great projection in each room of Palazzo Rasponi, it guarantees the visitor an immersive experience in Sicis world of mosaic, from its heritage to the latest creations, the jewelry in micromosaic. 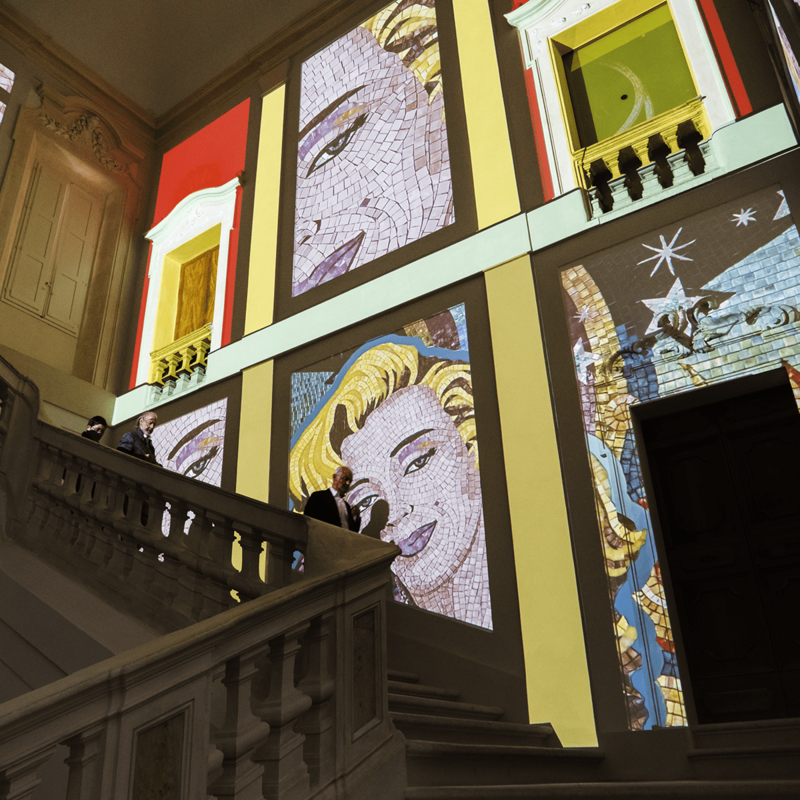 The projections started on the great staircase and kept leading visitors in the discovery of every room of the palace, each of them dedicated to a specific theme. The immersive experience is meant to intensify reality, to truly be hit by the beauty and complexity of our composition and enter our world of tesserae. 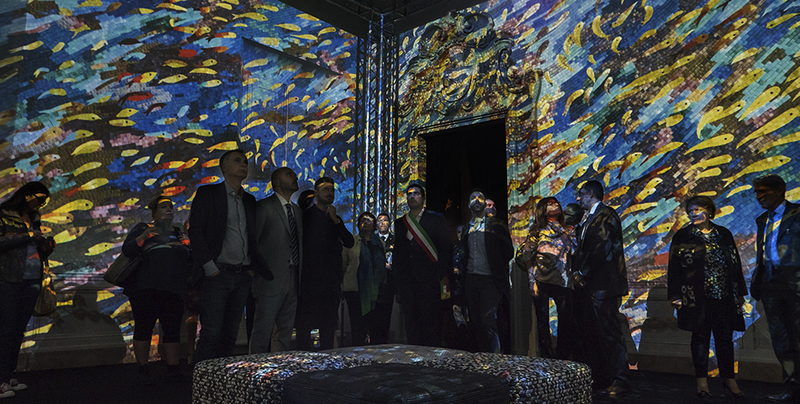 We basically transformed Palazzo Rasponi into a sea of colors to dive in. All this journey into our 30-years-old production is meant to lead you to our latest adventure: the jewelry creations in micromosaic. 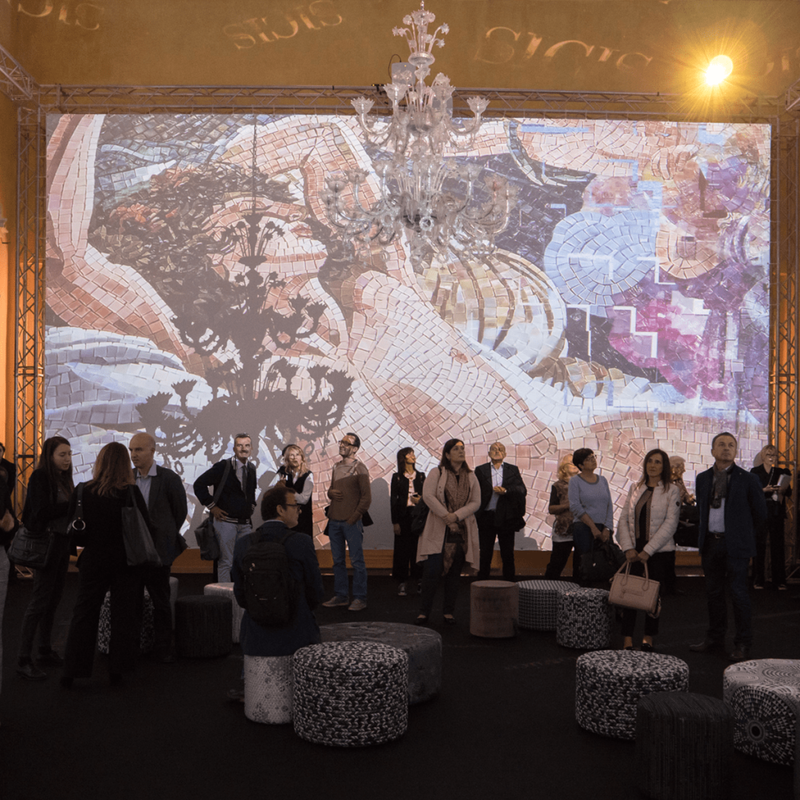 The room dedicated to micromosaic is the beating heart of the exhibition: we brought back to life an ancient art and made it part of our company expertise, and the precious results are in front of visitors’ eyes. 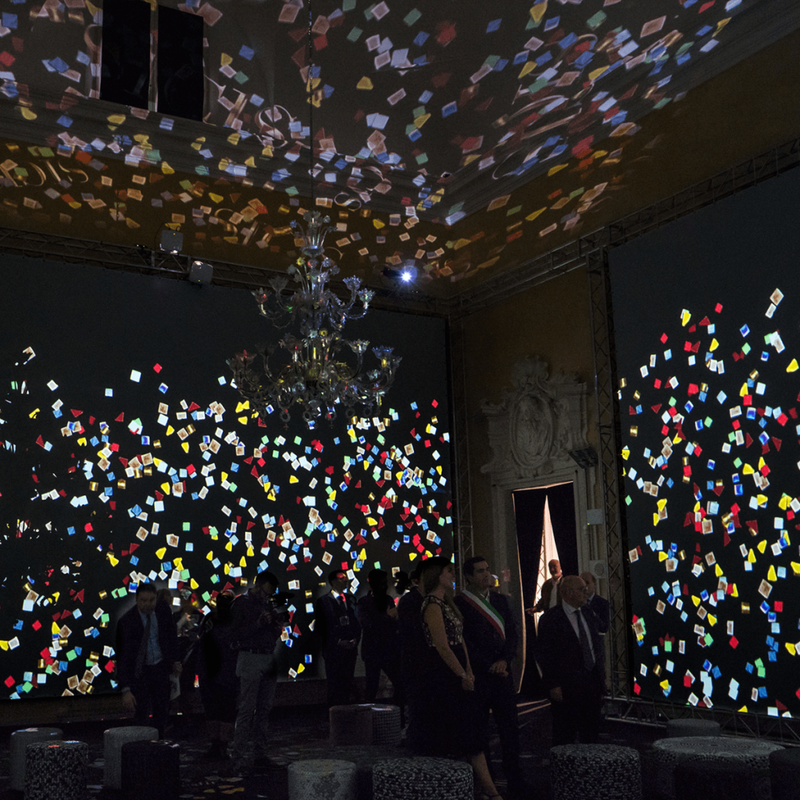 We bet we intrigued you enough, so come visit Destination Micromosaic till January 7 at Palazzo Raspon, Ravenna!